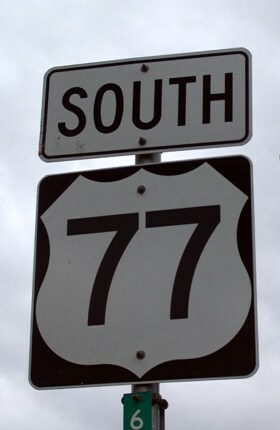 Route 77: The Padre Road - U.S. Highway 77. 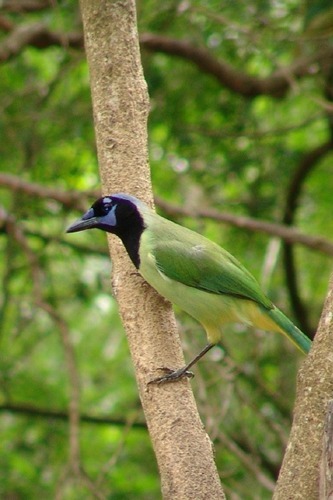 Editor’s Note: Ken “Mr. 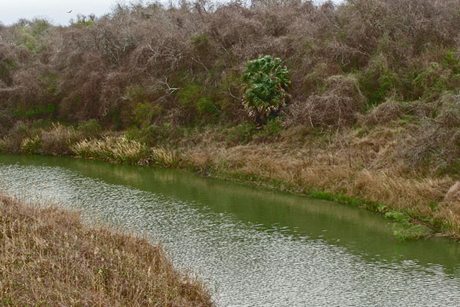 Third Coast” Rudine spends his year alternating between Houston and Port Aransas and is as familiar with highway 77 as most people are with their route to work. 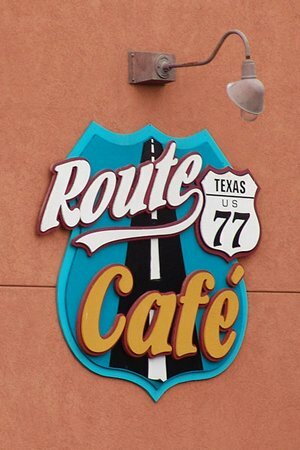 Crossing the Red River north of Gainesville, Texas, Highway 77 arrives 565 miles later at the State Travel Information station in Harlingen; a building that sits in the shade of the six flags that have flown over Texas. 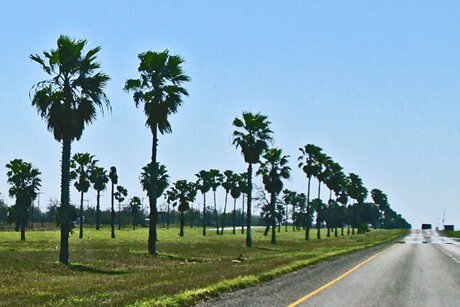 The first 360 miles of Highway 77 from crossing the Red River north of Gainesville to Victoria is much like any other road in Texas. 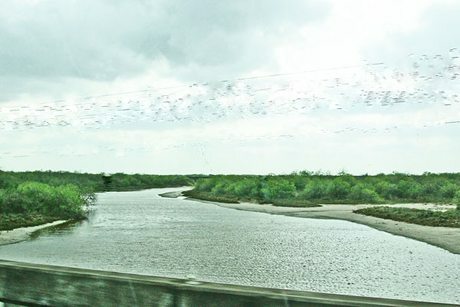 But leaving Victoria en route to the Rio Grande Valley, the landscape becomes distinctly coastal for the remaining 230 miles. 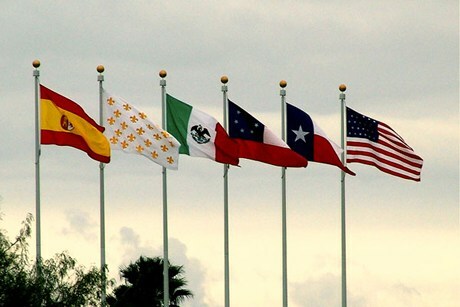 The portion of Route 77 I call “The Padre Road” is the last 80 miles and if one looks closely enough, there are glimpses of every era in Texas history, from the original Spanish land grants to the present. 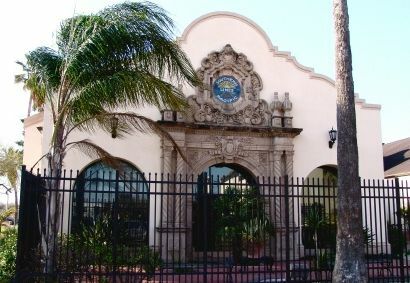 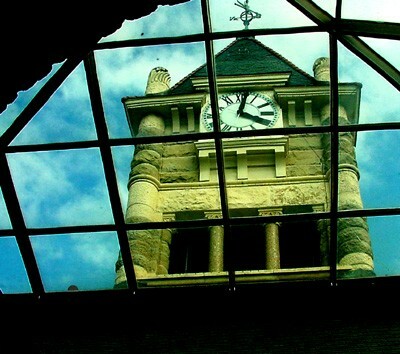 Victoria County Courthouse in Victoria. 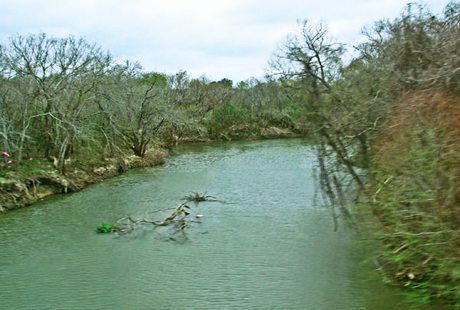 If one begins from Victoria, the seven rivers and creeks crossed by The Padre Road would be the Guadalupe River, the San Antonio River, Coleto Creek, the Mission River, the Aransas River, the Nueces River and finally Los Olmos Creek. 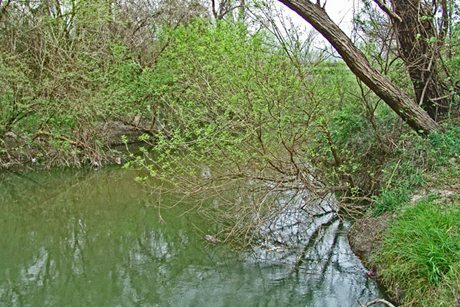 If one begins at Robstown, only Los Olmos creek, a few miles south of the starting point will be crossed. 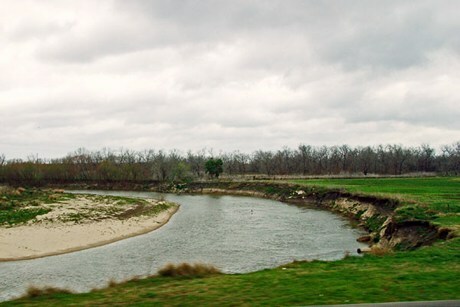 The other six creek and five rivers are more frequently-spaced between Victoria and the highway turnoff for Corpus Christi. 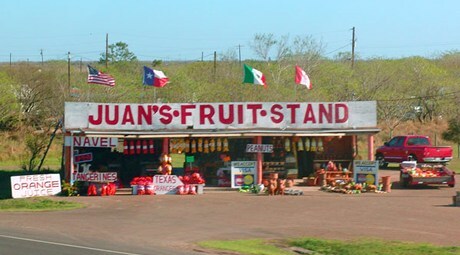 That trip in itself would provide ample adventure for another memorable Sunday drive. 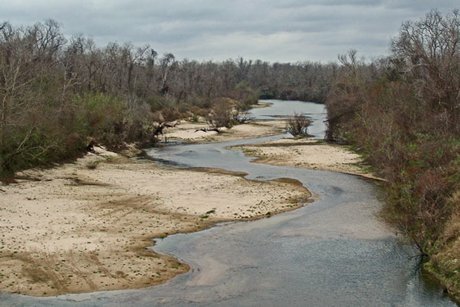 If the trip is extended from Houston, then three more rivers would be added to the itinerary. 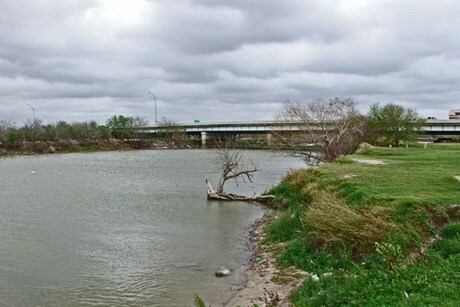 These would be the Brazos at Richmond, the San Bernard near Kendleton and the Colorado at Wharton.